This Soldier was also named on the St. Ethelwold’s Church Roll of Honour which is in the Lady Chapel to the left of the Altar. I have no clue to this Soldier, any help would be gratefully received. 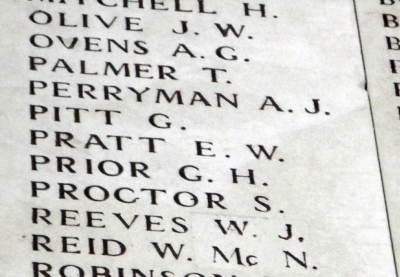 On my journeys to France in 2015/16 I have found 2 different G. PITTS’ who are named on different Memorials, but here they are below, in the hope that someone somewhere might know more. I will keep on looking.